Very tasty and unusual salad, beautiful as a Christmas tree toy. Decorate your table and will not leave anyone indifferent. 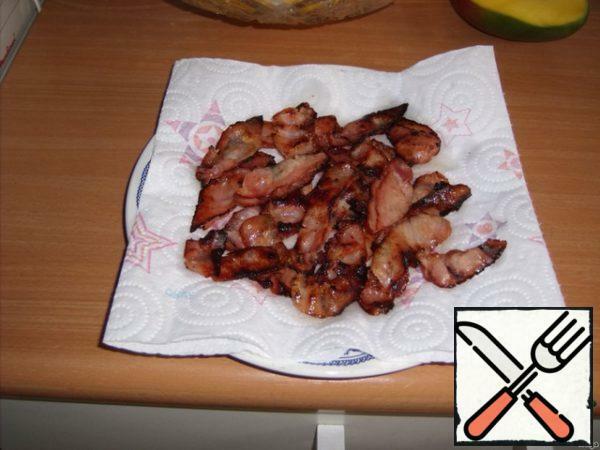 Bacon cut into small strips and fry until crispy. 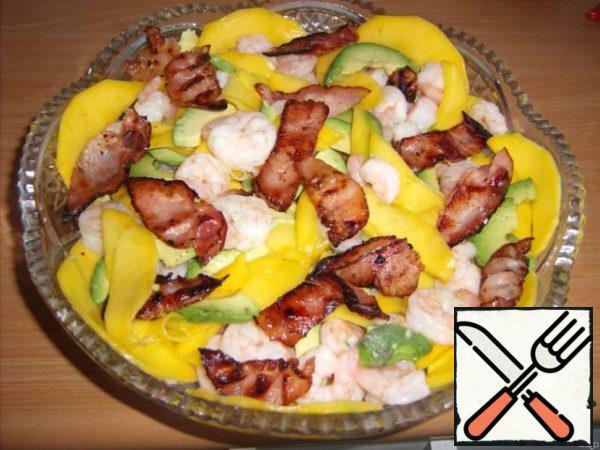 Spread on a napkin to stack the excess fat. 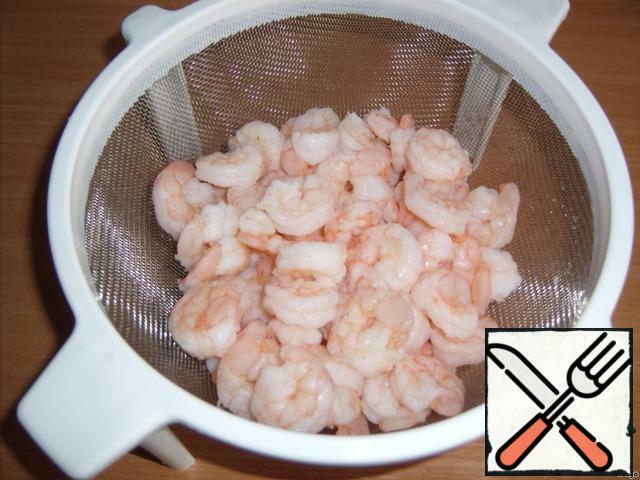 Boil shrimps, pour cold water, let the water drain. 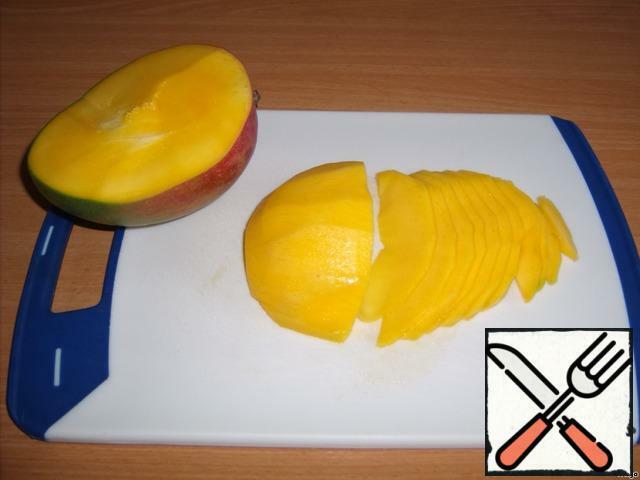 1.5 mango cut into thin slices. 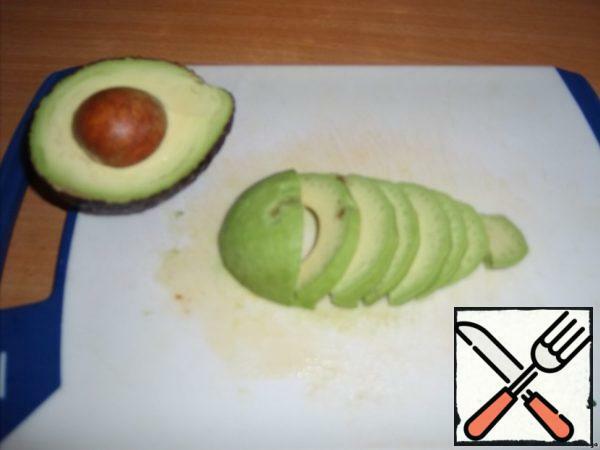 Avocado also cut, each half across. Put the shrimp, mango and avocado in a large salad bowl, mix gently. From above talk distribute stretch of bacon. 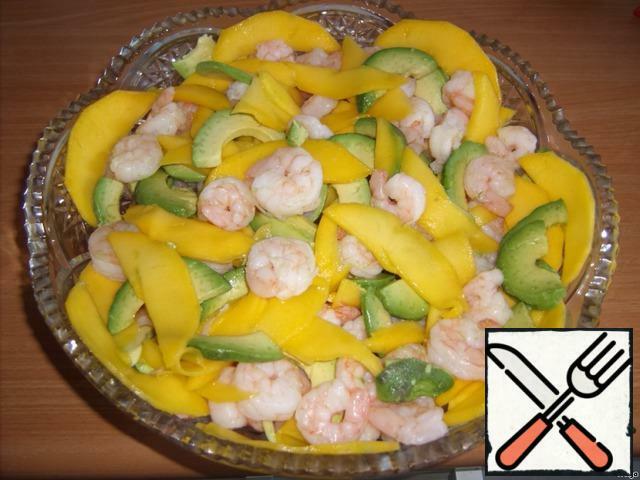 Prepare the dressing: from the remaining half of the peeled mango puree, whisk with the remaining ingredients for dressing. 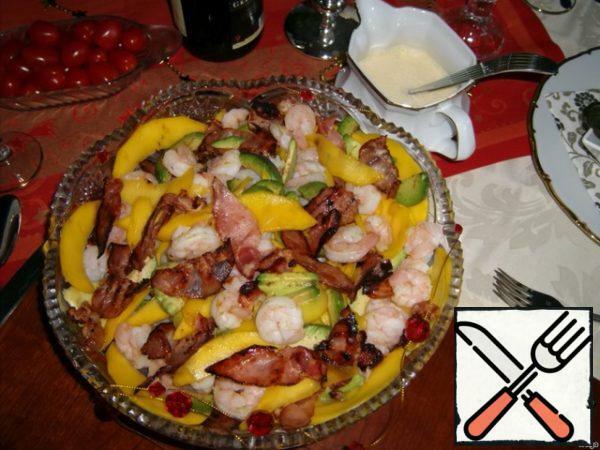 Serve separately in a gravy boat.